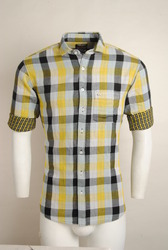 We are a leading Manufacturer of urban design long sleeve checkerboard shirt, designer black casual shirt, maroon designer casual shirt, mens designer yellow casual shirt, designer zig zag shirt and blue green checked urban design casual shirts from Chennai, India. 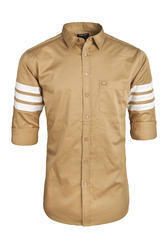 Fall in love with the soft texture as you adorn this slim-fit Shirt from the house of Roman Island. 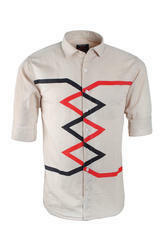 Your skin will feel the love of this Shirt as it is made using the cotton. 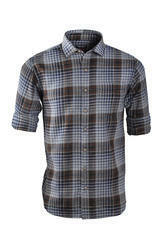 Pull-up linen trousers with this comfortable Shirt as you head out for an outing. 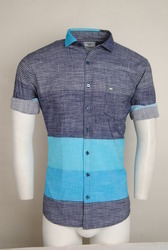 We are one of the leading manufacturer and suppliers of Designer Casual Shirt.We obligated to meet the quality standards of clients requirements. 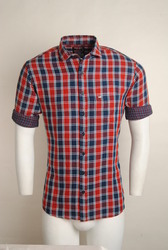 We are one of the leading manufacturer and suppliers of Designer Casual Shirt. We obligated to meet the quality standards of clients requirements. 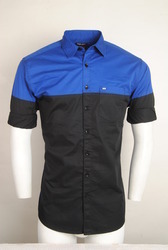 We are one of the leading manufacturer and suppliers of Mens Designer Casual Shirt.We obligated to meet the quality standards of clients requirements. We presents with the superior quality of Cotton Linen Fabric. For stitching the linen products known for their soft texture, elegant design and vibrant color combination, the linen products are available with us in different colors, sizes and designs. 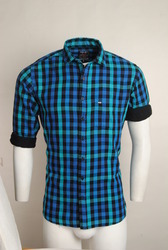 With the help of talented professionals and exceptional technology, we are offering our clients a variety of Blue,Green Checked Urban Design casual shirts. 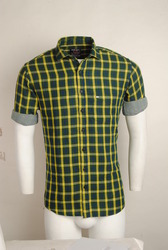 With the help of talented professionals and exceptional technology, we are offering our clients a variety of Green Checked Urban Design casual shirts. 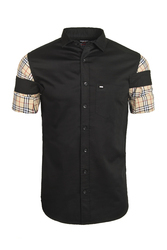 With the help of talented professionals and exceptional technology, we are offering our clients a variety of Multi Coloured Checked Urban Design casual shirts. 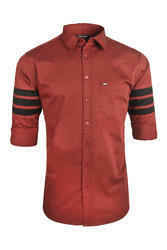 With the help of talented professionals and exceptional technology, we are offering our clients a variety of Red,Blue Checked Urban Design casual shirts. 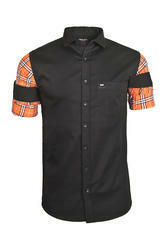 We offer a wide range of Urban Design casual shirts. 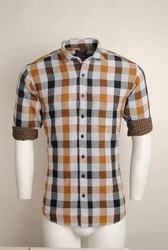 One GUY offers this BROWN checkered shirt that is all you need to look your stylish best for a casual getaway with friends. 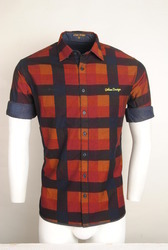 We offer a wide range of Urban Design casual Yellow Checked shirts. 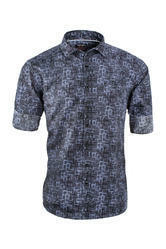 We offer a wide range of Blue Black Designer shirt. 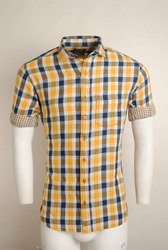 We offer a wide range of Casual Yellow Checked shirt for men. 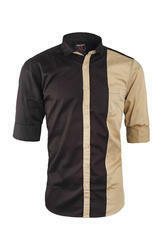 We offer a wide range of Designer Trendy shirt.